Maria Davou is a teacher, teacher trainer and researcher. She has an MA in TESOL, St Michael’s College, Vermont, US and has studied for a PhD in Applied Linguistics at Lancaster University, UK. She is now working towards her Education Doctorate degree at the University of Exeter, UK. She holds an ESRC research award. Her research area is Second Language Acquisition. Her research interests include Language Development, Language Assessment, Multilingualism, Language Teaching and Pedagogy. She studied SLA with Suzanne Flynn at MIT, Boston, US and completed an ALTE course on Speaking Assessment with Linda Taylor at the University of Valencia. 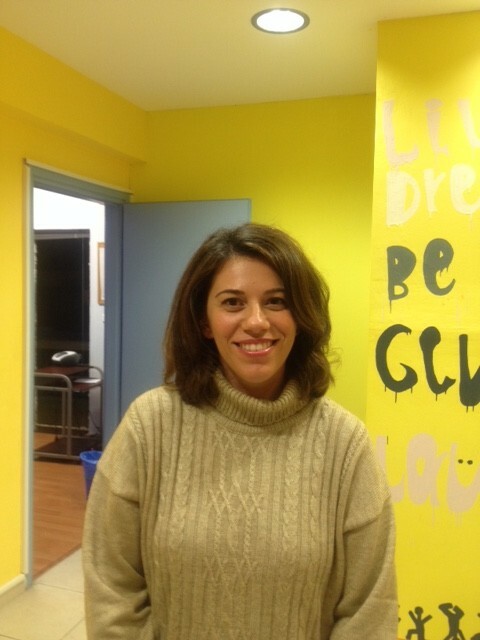 She has more than twenty years experience in teaching, teacher training and syllabus design in Greece and the US. In Greece she has taught at the Teacher Education Centre, Hellenic American Union and at the Master’s in Applied Linguistics, Hellenic American University. Maria has been working as an oral examiner for several exam boards (Michigan, City & Guilds, EDI etc). She has given a number of talks in conferences all over the world (AAAL, EALTA, ALTE, TESOL among them) and she has been on TESOL Greece Board for 2 years. Maria strongly believes that teachers need to re-consider their role in education and learn a lot from their learners. She promotes educational values that have to do with freedom of the individual, student-centered methodologies, respect for the rights of children and the student’s voice in the classroom and the community, multicultural and multilingual environments. Maria works against fascism, racism, nationalism, fanaticism, violence and hate speech. She loves learning languages, traveling, tweeting, facebooking, having coffee, eating chocolate and long discussions with friends! 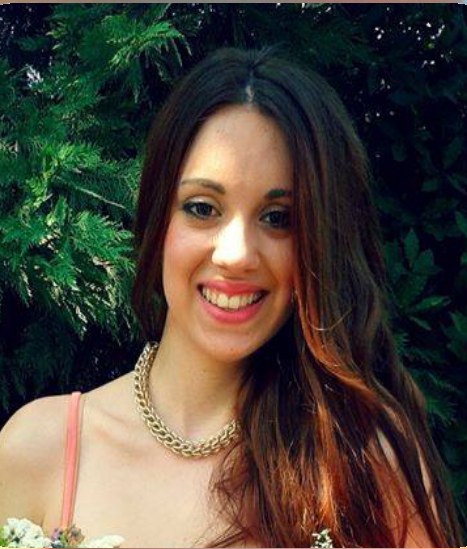 Anny has studied at the American College of Greece (Deree College) minoring in Linguistics. She holds the CELTA Certificate from Cambridge University as well as the TKT (Teachers Knowledge Test) and KAL (Knowledge about Language) Certificates held by the University of Cambridge with an excellent grade. 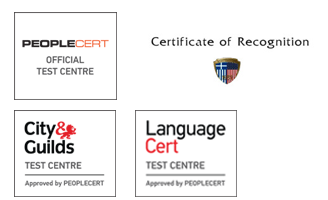 Anny has successfully completed the requirements for the Diploma in Teaching English to Speakers of Other Languages (Diploma in TESOL) given by the Hellenic American University.She has successfully attended a Language Awareness, Academic Writing and ESP (English for Specific Purposes) course. 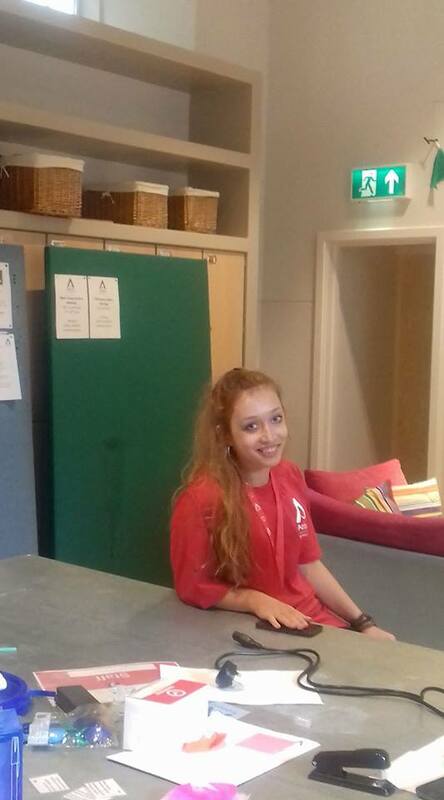 Anny has also attended various seminars on the psychological and emotional aspects of learning as well as how to teach students with learning difficulties. She has participated in seminars and webinars concerning multiple exams and how teachers should evaluate the learning progress of the students. Anny has a ten-year teaching experience in all levels. She is passionate and resourceful and she strongly believes that learning is fun!!! 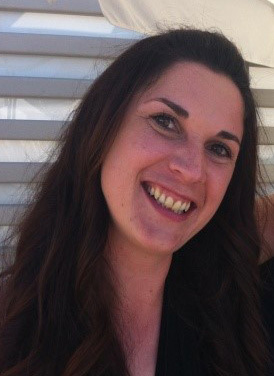 Vicky entered the fascinating world of teaching more than ten years ago and has been working for Glossomatheia since 2008. She has done training courses and attended seminars on language and background to language learning and teaching, lesson planning and use of resources for language teaching, managing the teaching and learning process. She is a holder of the TKT Certificate (Teaching Knowledge Test) & the KAL Certificate (Knowledge About Language) held by the University of Cambridge with an excellent grade. She has also attended an Academic Writing and ESP (English for Specific Purposes) Course. Last but not least, she’s a CELTA holder (Certificate in Teaching English to Speakers of Other Languages) also held by the University of Cambridge. Vicky is an experienced teacher in all levels and believes that learning is a never-ending process and it can be fun!!! Stella is a BA graduate from New York College with special merits in Business English. She has been working as an online and onsite TESOL tutor ever since 2010. She has attended seminars and training courses on SEN (special educational needs), CLT (communicative approach teaching), Mono and Multi – lingual ESL classroom approach and Teaching throughDrama in Melbourne, Birmingham and Hellas. She has completed and acquired certificates on the core modules of TKT 1, 2 & 3 held by the University of Cambridge, as well as, the specialist module TKT KAL with an embedded ESP course (English for Specific Purposes). Stella is an English CELTA qualified teacher (Cambridge English Language Assessment). She likes drawing, Chinese cuisine and philosophy, meeting new people. 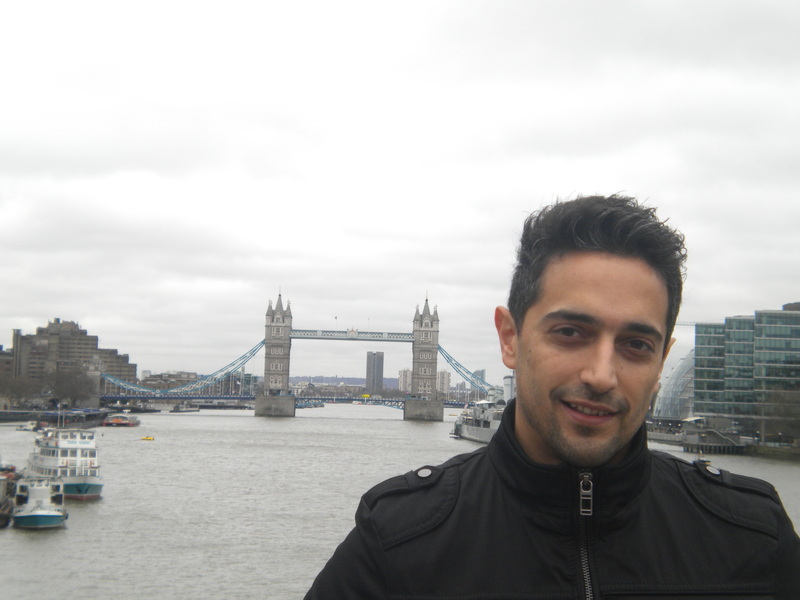 Angelos is a university student at the National Technical University of Athens and at the American College of Greece. He recently completed a study abroad program in King's College of London. 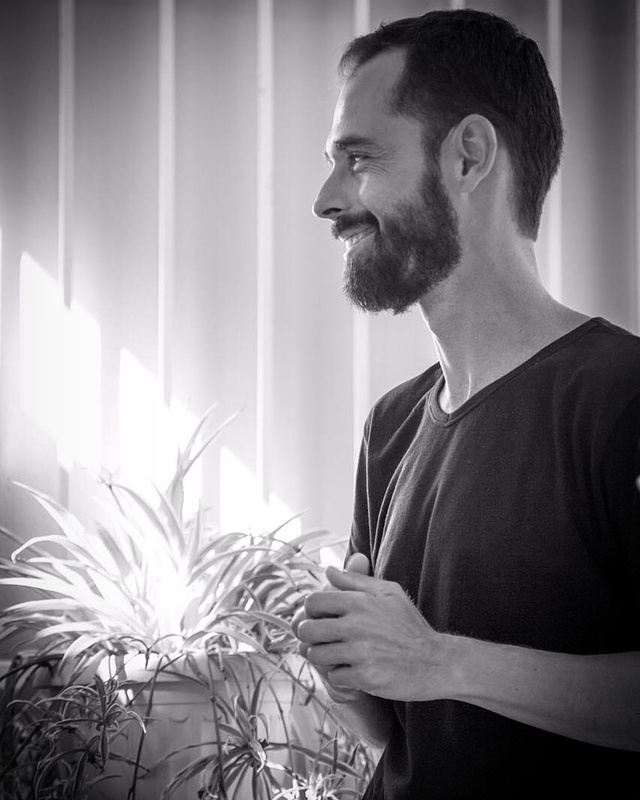 He is interested in neuroscience, neuro and cognitive linguistics and the interaction between the human brain and the environment. Angelos has attended a variety of seminars on applied linguistics and has completed the Cambridge TKT course with success. He attended the Summer School on brain dynamics in Turkey. He has also completed the seminar “Novel Writing” in Patakis School. He is fully bilingual, loves communication and fun activities and believes language learning is a natural process that should be done in enjoyable ways. He has been teaching in Glossomatheia since 2011, mainly Speaking and Communication classes. He is also interested in Oral Language Assessment and specializes in exam classes. Nigh, sy to see and bye, for ever lie to frye and hide. 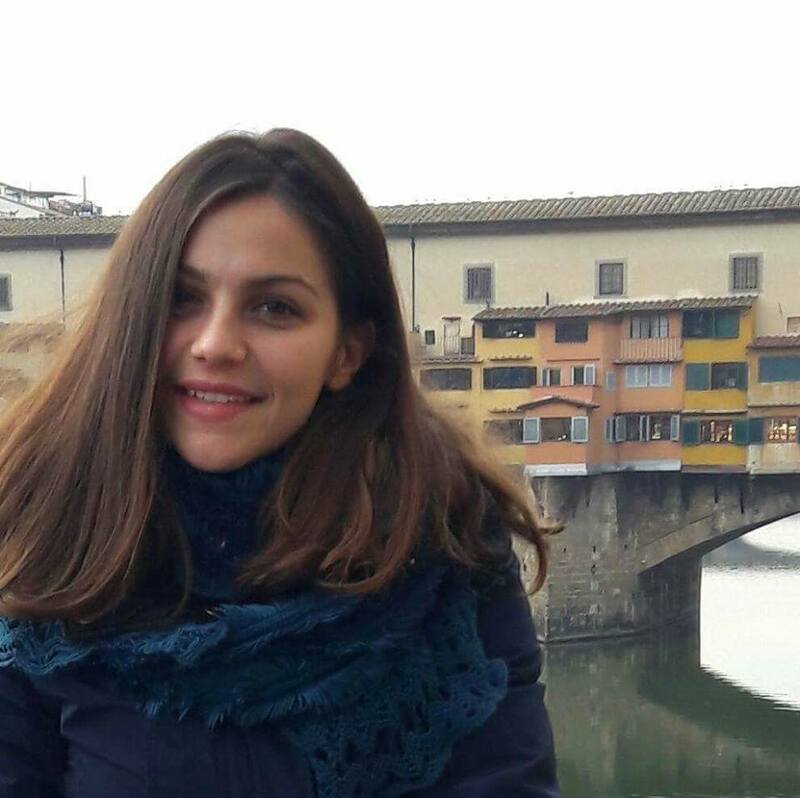 Francesca is fully bilingual and has graduated from the National Kapodistrian University of Athens minoring in English Language and Linguistics. She has acquired the CELTA certificate with an excellent grade,as well as the TKT (Core modules: 1,2,3) and also KAL (Knowledge about Language) certificates, all issued by the University of Cambridge. She has also attended an ESP (English for Specific Purposes) and Academic Writing course. Francesca has participated in various seminars and webinars on teaching methodologies, and teaching students with learning difficulties. She has been a part of the WAGGS association for more than 10 years, and has been a team leader for the past 5 years (age groups 5-11). She loves travelling, volunteering, swimming,reading books, being creative, arts and crafts and going to the cinema. 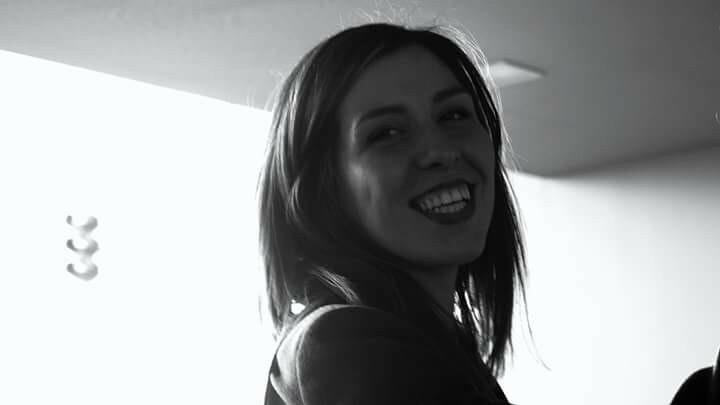 Danai is a graduate student of the faculty of English Language and Literature at the National and Kapodistrian University of Athens, minoring in linguistics. She holds the Teachers Knowledge Test (TKT) and the TKT-Knowledge About Language (KAL) Certificate, held by the University of Cambridge, with an excellent. She is also a CELTA holder (Certificate in English Language Teaching to Adults, University of Cambridge). She has successfully attended an ESP (English for Specific Purposes) and Academic Writing course and a number of seminars based on psychological aspects of learning, learning differences, and alternative ways of teaching (through games, music, and songs). She loves travelling and reading, while she strongly believes that by learning a foreign language your mind is opened to new ways of approaching life. For her learning is a lifelong process. Panagiotis is an undergraduate student of English Language and Literature at the Hellenic American University and a holder of Diploma in Translation.He has successfully completed the TKT (Teaching Knowledge Test) and he is a holder of KAL (Knowledge about Language) held by the University of Cambridge. He has also worked as a freelance translator andhe has attended various educational seminars on teaching children with learning difficulties and how to recognize and manage children with ADHD (ATTENTION DEFICIT HYPERACTIVITY DISORDER) as well as many webinars held by British Council – Teaching for Success/Exploring English/English in Early Childhood.He loves being around the sea and has many hobbies including reading, music and surfing. Kelly Tsogka has been working as a teacher since 2004 in all levels both in Greece and in the U.K. She has a BA in Language studies with Linguistics of the University of Brighton, U.K. and an MA in applied Linguistics and TESOL of the University of Surrey, Guildford, U.K. She has also obtained a certificate in Team Management Level 2 in City College, Brighton U.K and is currently taking the DELTA diploma of the University of Cambridge in Athens, Greece. Kelly has also published a supplementary teaching material “Talking Cards” – a learning tool for Lower and Proficiency students. The Iguana Project (2005) She has also participated in various seminars and workshops and is always willing to learn as much as possible in any chance given, as being a teacher, you are always a learner yourself. Dimitris Vassilakis is a bilingual teacher of English whose experience in TESOL spans over a decade. He has lived in the USA and the UK for a number of years. He has studied at the Montgomery College in Rockville, Maryland, the University of Brighton and the University of Athens. He holds a BA in Language Studies with Linguistics and has also got a Postgraduate Diploma in English Language Teaching Studies. 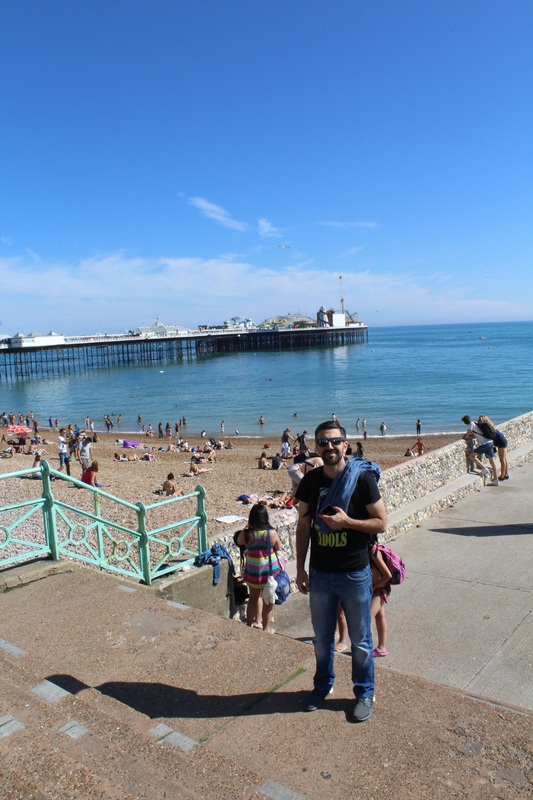 Dimitris has attended a number of lectures and seminars on a variety of issues revolving around TESOL (teaching methods and techniques, learning difficulties, motivation). His main objective when in the classroom is to make the learner feel welcome and also a respected member of the group. I hold a diploma in Management and I have a long working experience in Language Schools as Administrative and Teaching Assistant. After acquiring my Certificate of Professional Competence as an English Teacher in 2010 I have attended various seminars regarding Language Learning and Teaching Methodology. Also I hold the TKT (Teaching Knowledge Test) certificate by the University of Cambridge and I carry on my education in teaching. I love handicrafts, children’s books, poetry and outdoor activities. 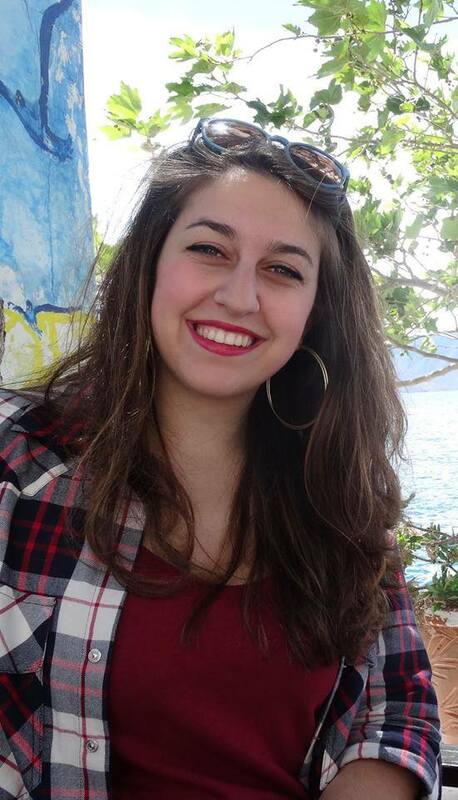 Eleni is pursuing parallel studies at the American College of Greece (majoring in Psychology, minoring in Biology) and the Math department at the University of Patras. She is a holder of Cambridge TKT with excellent marks. 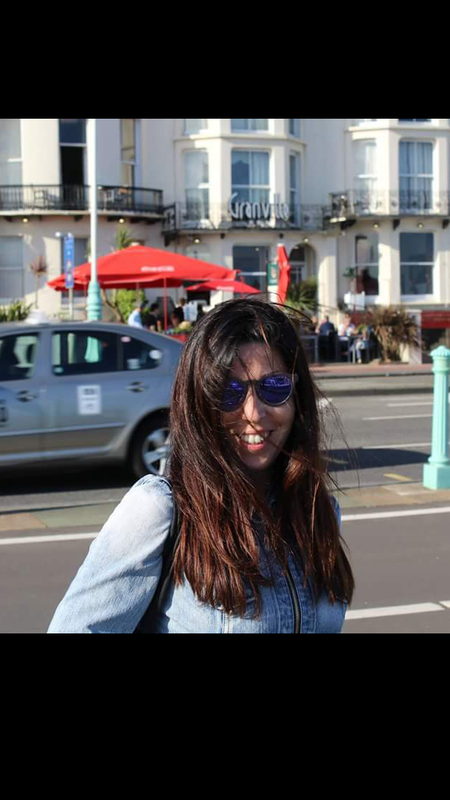 She has worked as a teaching assistant in Glossomatheia and an Activity Leader at Brighton College, UK. She's bilingual and interested in Educational Psychology, Neuropsychology and more specifically in issues related with memory and learning. She has attended several workshops on Teaching English Methodology as well as Special Education programs, learning differences or difficulties. She is a dancer, an athlete and into arts and music. Her motto is , "Think of what you want, not what you are afraid of." "Think of what you want, not what you are afraid of." Eimie was born in the USA. 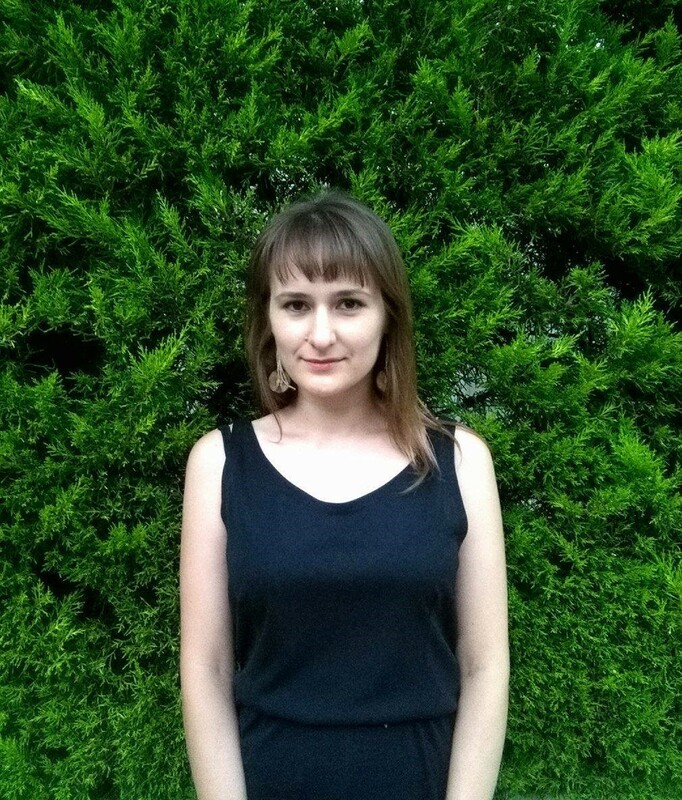 She has studied English Language and Literature at the National and Kapodistrian University of Athens and has taken part in a student practice teaching and mentor training program regarding methods and practices in TEFL-ELT, at Arsakeia-Tosotseia Schools. She has been teaching English as a foreign language since 2009, in levels ranging from young learners to adults and has been working in language schools and private schools such as Argyri Laimou Schools. She is a certified oral examiner for exam bodies such as Cambridge Assessment English. She has participated in seminars on teaching students with ADHD, dyslexia, and other learning difficulties such as Special Education and ICT : Psychometric Tools and Intervention Methodologies (N.C.S.R DEMOCRITOS) and has attended various TESOL seminars on differentiated instruction. 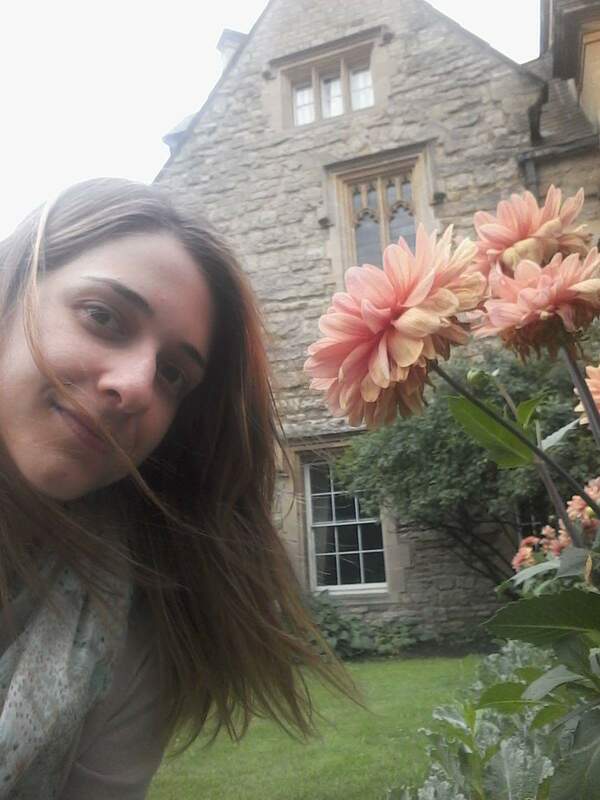 Eirini has a BA in English Language and Literature from the Aristoteleion University of Thessaloniki, Greece with emphasis to Theoretical and Applied Linguistics. She completed her MSc in TESOL with Merit from the University of Edinburgh, Scotland. She also has worked for the British Council as an English language assistant in Spain, where she worked as an English teacher for 2 years. 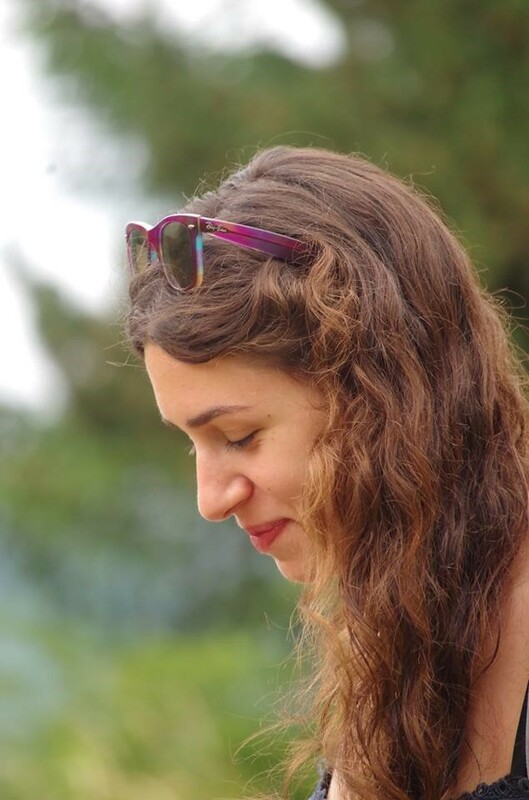 Eirini has attended a wide range of seminars/ conferences about alternative ways of teaching through music, drawing, creative play, CLIL etc., as well as the role of Educational Psychology and its applications in the classroom. She is deeply interested in learning more about Forest Pedagogy and has attended experiential seminars in a natural environment. Furthermore, Critical Literacy and Pedagogy in the Greek classroom (which is her dissertation’s subject) is of her great interests and an issue of further future research. 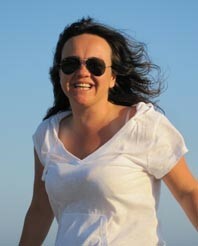 Eirini loves kids, travelling, self-awareness books, board games, dancing and people who know how to love and have no fear! 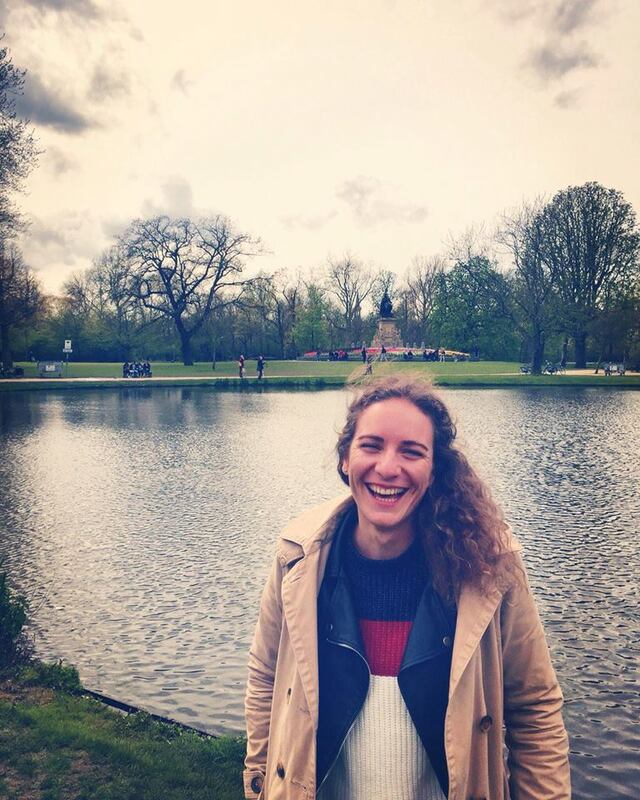 Kelly is a graduate student of the Faculty of Classics at the National and Kapodistrian University of Athens and she holds a Master’s Degree in Applied Educational Psychology from the American College of Greece (Deree). She has also attended a specialization program on Special Education offered by the National and Kapodistrian University of Athens and she has experience in differentiated instruction. She has conducted a research project on gamification of learning, since she believes that having fun is necessary in the learning process. She likes learning foreign languages, playing the guitar and dancing rock n roll! Kevin is a graduate of the University of Dundee with a First Class MA Hons in English Literature. 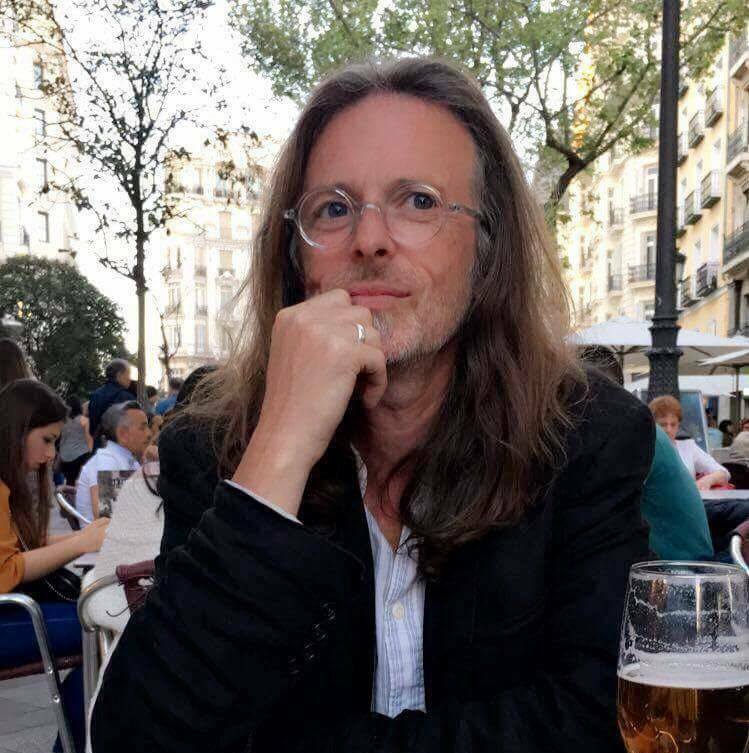 After attaining a Post-Graduate Diploma (PGDip) in Information and Library Studies, he worked for ten years in the Scottish education system as a professional librarian, managing the central school library service for a local authority. His role included delivering reader development CPD sessions to, and with, teachers and students. In addition, he played a key role in coordinating reading-for- pleasure initiatives, such as the Angus Book Award, a regional teenage book award that led the way for many others teenage book awards throughout the UK. For the last three years he has been Assistant Centre Manager for as summer school in England. He is a CELTA qualified teacher and a published poet. Kevin aims to pass-on his passion for learning and believes learning should be fun. 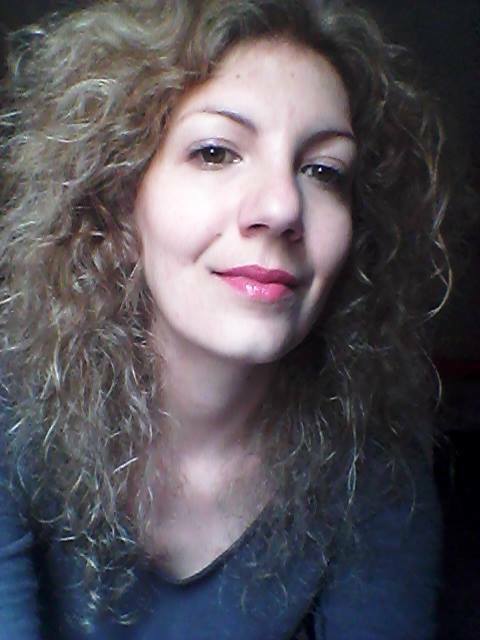 Je m’appelle Maria Dellatola et je suis enseignante de français et chef d`études de la section française de “Glossomatheia”. J´ai achevé mes études universitaires à la faculté des lettres d´Athѐnes dans la section des Lettres Françaises. En vue de perfectionner mes connaissances, j´ai suivi un stage de formation de FLE (français langue étrangѐre) à l`université de Stendhal 3, à Grenoble, en France. En suivant toujours l`évolution des pédagogies éducatives les plus modernes, j´adapte les méthodes d´enseignement aux directives du cadre européen commun de référence pour les langues. En conciliant mon expérience professionnelle, mes compétences pédagogiques ainsi que mon investissement personnel, je fais des efforts pour que mes élèves apprennent à bien travailler dans un cadre agréable et qu’ils fassent du progrès. Je m’appelle Popi Charmanta et je suis enseignante de français. Je suis licenciée de la Langue et Littérature Française de l’Université d’Athènes et détentrice du diplôme Sorbonne II.Depuis 2000, j’enseigne le français dans tous les niveaux ayant comme but principal de faire les élèves aimer la langue française et connaitre la civilisation de la France. Dès mon petit âge j’ai compris ma vocation à l’apprentissage des langues étrangères. Je parle aussi anglais et espagnol. J’aime beaucoup les enfants et je fais tous mes efforts pour qu’ils ouvrent leurs horizons afin de les initier à la culture française. Elfia a étudié à NTUA à Athènes et à l'Université de Toulouse, en France. Elle enseigne la langue française depuis trois ans et elle est spécialisée dans l'éducation des petits enfants. Elle est aussi responsable, avec Angelos, du club de journalisme de notre école. Elle a fini l'école primaire "Montessori"- ce qu'il l'a aidé à définir ses principes pédagogiques- et puis, elle a étudié à Pierce College. Elle croit en l'apprentissage expérientiel et elle enrichit la leçon d'informations culturelles, de jeux, de projets, de multimédia et d'activités. Elle s'occupe également de la musique (études théoriques supérieures), de la danse et du cinéma. Elle aime voyager, lire des livres, apprendre des langues étrangères, regarder des films français et, bien sûr, la cuisine française. Lena is a graduate student of the faculty of French Language and Literature at the National and Kapodistrian University of Athens. She has lived in Germany and studied German in Nuremberg’s Bildungzsentrum. She also holds an actress diploma from the Kabanelli’s Drama School. In her professional life, she has been active in the areas of theater, teaching and language teaching publications. She has attended seminars on child and adolescent psychology, as well as on children with learning disabilities. She has done sign language lessons and theater semiotics seminars. She has been involved in art therapy, in particular psychodrama, photolangage, music-kinetics and body expression. She loves working with children and believes that theater can be a strong tool in learning a foreign language. Zoi ist Absolventin der Fakultät Philosophie, Pädagogik und Psychologie der Unsiversität Athen und besitzt das Große Deutsche Sprachdiplom , sowie auch das Übersetzerdiplom des Goethe – Instituts Athen. Zoi verfügt über umfangreiche Erfahrung in der Lehre und unterrichtet die deutsche Sprache Kindern und Erwachsenen auf allen Niveaus seit 1990. Gleichzeitig nimmt sie an Seminaren im Zusammenhang mit der Vermittlung der deutschen Sprache und der Anwendung moderner Lehrmethoden teil. Sie hat in der Schulzeit in Deutschland gelebt, das erheblich ihre pädagogische Ansichten beeinflusst hat. Das ihre Schüler diese so interessante deutsche Sprache lieben lernen, ist ihr wichtigster Hauptziel. Afroditi Charalampaki ist Deutschlehrerin, Grundschullehrerin, Theaterpädagogin und Sonderpädagogin. Sie ist Absolventin der Fakultät für Grundschulpädagogik der Nationalen Kapodistrian Universität Athen und der Masterstudiengang „Dramatik und darstellende Künste in der Bildung und beim lebenslangen Lernen“ der Peloponnisos Universität. Ihr Kontakt mit der deutschen Sprache und Kultur beginnt in ihrem Kindersalter wegen Familienbeziehungen nach Deutschland. Als Studentin bekam sie ein Stipendium vom DAAD (Deutschen Akademischen Austauschdienst) und nahm an einem Kurs der Universität Leipzig teil. Sie besitzt das Goethe-Zertifikat C2: Großes Deutsches Sprachdiplom. Ihre Forschungsinteressen sind unter anderem die Fremdsprachendidaktik mittels Theatertechniken und Spiel zu fördern. Sie ist von der UNESCO für ihre Teilnahme an dem 4. Festival der Erzählungen in Athen ausgezeichnet worden, bei dem sie ein Programm geplant hat, durch das die Schüler die Fremdsprache mit hilfe von Märchen lernen. 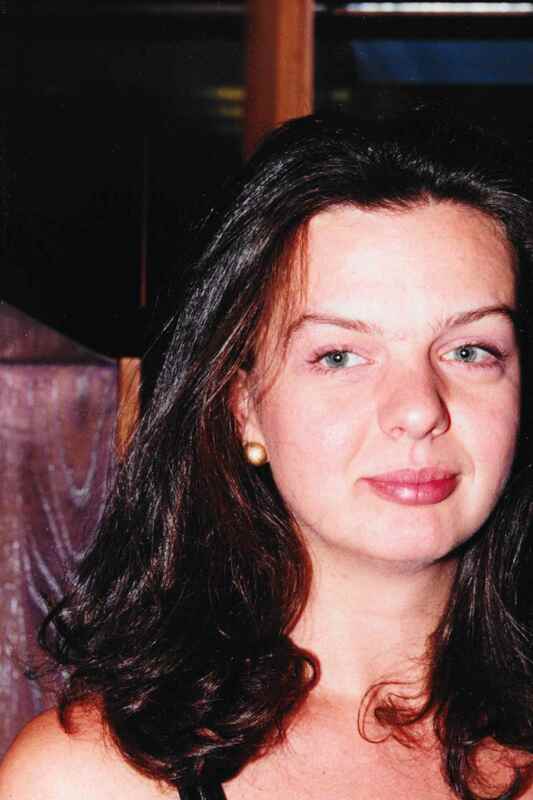 Αnastasia was born in Athens.She studied at the National and Kapodistrian University of Athens, at the Faculty of Russian Language and Philology and Slavic Studies. She is bilingual and has participated in various student conferences on foreign language teaching, linguistics and music in Greece and abroad. She has also attended seminars regarding the methodology of teaching russian and non-formal education. She loves traveling, learning foreign languages, tasting different dishes and listening to different kinds of music from around the world. Τeaching makes her happy and energetic! Mi chiamo Natalie Minioti e sono nata ad Atene. Ho studiato la lingua e la letteratura italiana all’ Università di Salonico e allo stesso periodo ho frequentato in Italia corsi estivi sul perfezionamento della lingua italiana. Ho insegnato l’ italiano parecchi anni ad Atene e per un certo periodo facevo traduzioni dall’ italiano in greco. Gli ultimi anni ho fatto un master sul dramma greco antico e ora sto per finire il mio dottorato sulle rappresentazioni teatrali contemporanee al teatro greco di Siracusa in Sicilia..
Konstantina is a graduate of the Philosophy, Pedagogy and Psychology Department of the National Kapodistrian University of Athens, with specialization in Pedagogy. She holds a postgraduate degree from Athens Metropolitan College in Special Educational Needs and in teaching students with learning difficulties. Konstantina has also attended interactive theatrical play seminars. She has been working in the preparation of primary and secondary school students, as well as in supporting students with learning disabilities. In Glossomatheia she teaches Greek as a foreign language to students and adults. 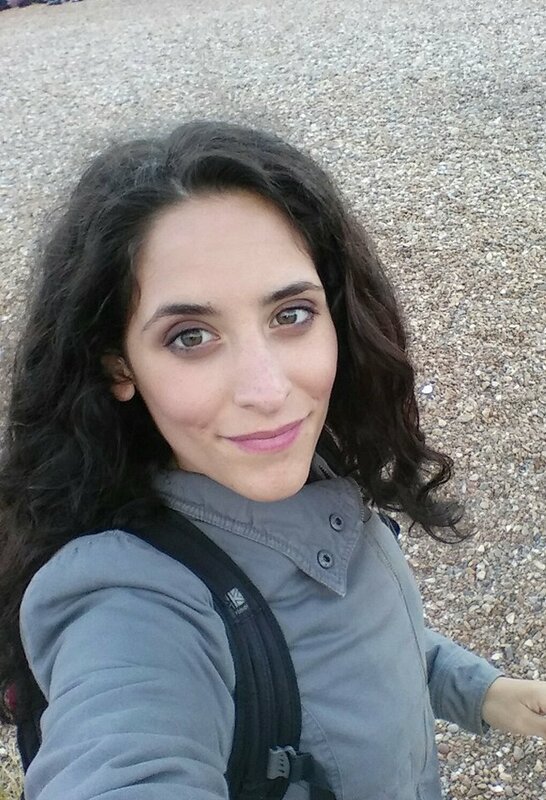 Konstantina loves foreign languages and holds a C2 certificate from Cambridge University. Currently she is attending the TKT course of the same University. She hopes for the immediate change of the Greek Educational System! Nicholas comes from a Sino-Greek family therefore both Greek and Chinese are his basic mother language. 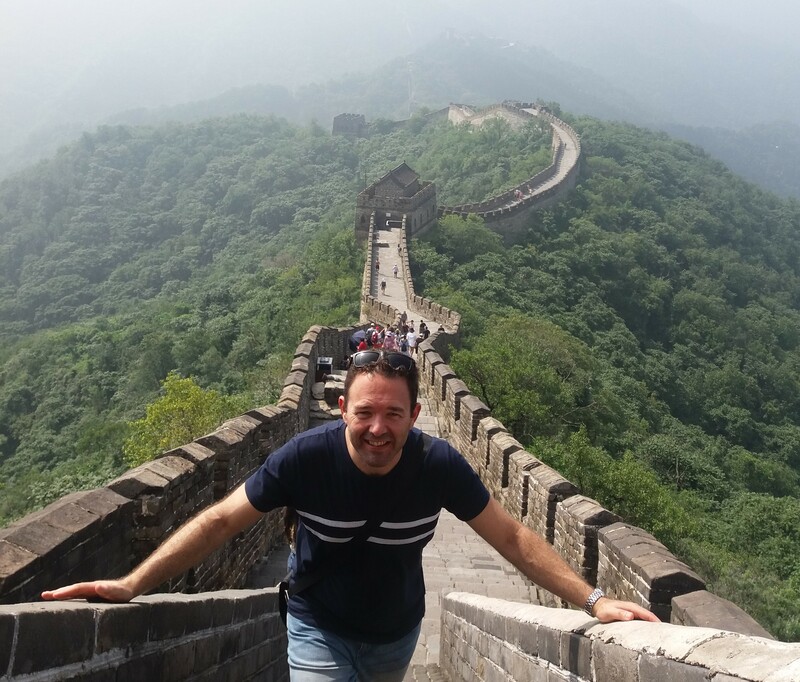 He has studied and worked in Ludong University of Yantai, China and is currently teaching at the university of Piraeus for the postgraduate students of International and European Studies. He has his own travel agency Gang Long Travels and works with many companies as a translator, a guide and an intermediate. Yolexys Bencomo Garcia, profesor de lengua española. Filólogo, de nacionalidad cubana. Licenciado en lengua y culturas hispánicas. Radica en Grecia desde el año 2000. Tiene gran experiencia en la enseñanza del español como lengua extranjera y ha trabajado en diferentes centros de enseñanza de idiomas. Asimismo, ha colaborado como examinador en los tribunales de los exámenes DELE del Instituto Cervantes de Atenas. Es miembro activo de la Asociación de profesores de español e hispanistas de Grecia (ASPE) desde 2004 y ha desempeñado la labor de tesorero en la junta directiva. Yolexys, se caracteriza por estar en continua formación a través de cursos, seminarios y talleres de actualización metodológica en la enseñanza y actualmente cursa el Máster Universitario en las Tecnologías de la Información y la Comunicación en la enseñanza y el tratamiento de lenguas, en la Universidad Nacional de Estudios a Distancia UNED, Madrid, España. Cabe destacar que lo más relevante en Yolexys es su pasión y entrega en la enseñanza, dinamismo revertido en los resultados académicos de sus alumnos tanto en exámenes como en el uso sustancial y moderno de la lengua española, basado en su verdadero conocimiento. Graduado de la Universidad Abierta de Grecia en el programa de Lengua y Civilización españolas. Licenciado en Educación física y deportes de la Universidad Nacional. Instructor certificado de yoga y pilates. Asistió a seminarios sobre la psicología del movimiento de los niños y adolescentes. Además asistió a seminarios sobre la danza moderna. Enseña español como lengua extranjera a los niños, los adolescentes y los adultos.Cree que el aprendizaje de una lengua extranjera es más que la adquisición de los fenómenos lingüísticos. Se trata de la profunda comprensión de la cultura del país. Aficionado a los viajes, los deportes y la literatura.